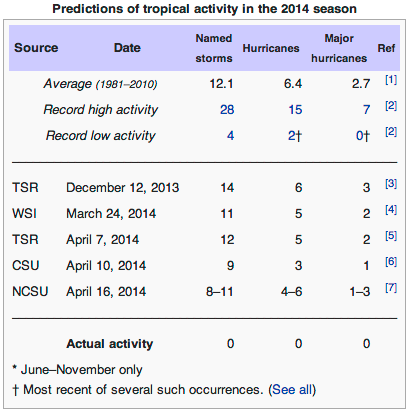 Each season I like to post the predictions for hurricane season that are created by the various organizations who care. Then I promptly forget I posted said information and never follow up on how each entity actually performed. In the interest of tradition, I have stolen the following image from Wikipedia that pretty much does my job for me. Thank you Wiki contributors!